The Original 1934 NFA Banned ALL Handguns, Semi-Autos & Mags over 12 Rds. Had NRA Been “No Compromise” We Would Have Lost it All. I wasn’t even alive then, and my Grandpop was just 14, but I know from my own research this is true. We got AOWs because they were originally meant to apply to handguns, and they were carved out of it at the last minute very carelessly. The original definition of a machine gun was any firearm which could fire more than 12 rounds without reloading. It is so important to remember the truth about the past. This is kind of a response to the last 4 blog posts. I think 2nd Amendment and “gun” people need to adopt the definition of “compromise” that the gun control crowd does; i.e. take all I can get, any opportunity I can get. Learn to love incrementalism. If the gun control crowd wants bump stocks (make a extremely tight definition of bump stock, don’t use Feinstein’s), give it to them; however, we get National Reciprocity and the SHARE act with suppressors – absolutely NO less will be acceptable. Machine guns might be a hill we would die on now but I think that repeal of Hughes and reopening the registry is doable by the end of the Trump presidency. The whole reason that bump stocks (and the like) exist is because there is a demand in the market for “full-automatic” capability; even if it is the sucky second best, bump stock version of “full-auto.” Repealing Hughes would open the registry and allow for a very controlled, possession of new, legal machine guns. Secondarily, I think the market demand for machine guns might be high enough that new machine guns might eventually meet the “common-use” verbiage of Heller. If we get half of the list, I’ll be ecstatic! Embrace incrementalism and only accept real compromises. Get more originalist judges making 2nd Amendment positive court decisions. Work to spread “gun culture,” whatever form it may be, by whomever might want to join it. These things will help protect, preserve and spread the 2nd Amendment even in the bluest of blue states. The goal is for the 2nd Amendment to be treated like the 1st Amendment. Incrementalism is where its at. Its the entire success of the concealed carry movement. We started off with heavy regulation of carrying, to shall issue, to constitutional carry. We all may want zero gun control, but that’s not politically feasible. Get what we can, when we can get it, even if its not perfect, but as long as it doesn’t hurt us down the road (i.e. like UBCs). Also, if we absolutely must trade bump stocks away for Reciprocity + SHARE, then the absolute most I would accept is adding them to the definition of AOW, and not an outright ban. I’m not even sure the NRA did that. I remember seeing quotes about rural state legislators being highly irate over the idea that their voters would be expected to travel hundreds of miles to buy a pistol. I don’t remember ever seeing anything about the NRA at that time. My impression has been that the NRA opposition to “gun control” was a product of the takeover by the outraged membership when the NRAe attempted to surrender and move to Colorado. The NRA was involved in the NFA hearings. They were. And they approached the hearings with the intention of getting carve out for semi-autos and handguns. The rest of the stuff they conceded. Did they have to concede it? I don’t know. I never participated in the 1930s gun culture. I think if we can get National Reciprocity, then within ten years we will win the other battles too. Nation wide carry will do more to “regularize” the possession of firearms in the blue state hells of NYC, DC, NJ, California, Hawaii, and the rest. Their own citizens will be asking, “Why can’t we carry? Some hick from Kansas can, but we cannot?” National Reciprocity will force these states to face the facts, that law abiding citizens have a right to defend themselves. When SCOTUS gets Peruta, or another case, don’t you think a national reciprocity law recently passed would lend some weight to the freedom and civil rights side? Wouldn’t it be nice to argue these “problems?” Get National Reciprocity NOW! We can come back next year for the other half of the loaf. It’s better than that. As currently written, the law would require all states to recognize permits from any state. If you live in San Francisco and want to carry you can get a Utah permit and carry in your hometown and there’s nothing that SF or CA can do about it. Unfortunately, as written, the law only applies to states and that would likely allow DC (and other places that aren’t states, like PR, VI, etc) to weasel out of it. But it would be an important piece of the pie and we can always go back for seconds later. The forced reciprocity of out of state permits is why I don’t like it – it’s a backdoor way for forcing shall-issue, and I think Congress out to do that directly (a la LEOSA) rather than sneak it in through side effects. But Congress isn’t going to do it. The ONLY thing we’ve really gotten from the Rep controlled Congress is Gorsuch. Even w/o LV I wonder if NCCR was going to pass. So, try to pass it. Maybe trading bump stocks for it (and suppressors) would be worth it. NCCR will kill the repressive states gun control regimes. There are 3 modern definitions of the word compromise as it applies contextually. Pro gun side gives up freedom to appease gun prohibitionists. 3) the ideal : Each side negotiates to a mutually beneficial outcome. The ideal compromise does not occur in the modern legislative process. The only versions of compromise active are numbers 1 and 2 above. Here, NRA-ILA seems to have pre-compromised away a firearm accessory. What does the accessory do? It permits a semi-automatic firearm to increase the rate of fire significantly. However, it does not change the firearm, nor does it alter or automate the firearm beyond firing a single projectile through a single function of the trigger. There is no shortage of people willing to throw the slide fire under the bus and no shortage of our community -including Sebastian- willing to sacrifice machine guns for some mythical “greater good”. This kind of appeasement is like giving the school bus bully more money to keep him from beating you up. sooner or later, you run out of bribe money and the bully beats you up. This is more than just a slippery slope here, there is actual evidence of bills introduced with pledged support to go much farther than banning a slide fire stock and NRA-ILA has done only lip service to move national reciprocity or legalizing suppressors. Not to mention, they have done next to nothing administratively on regulations. Yet, the fundraising letters from Wayne keep coming, sometimes as many as 3 times / week. Is NRA-ILA’s heart really in advancing the cause of freedom, or just defensively sitting on its duff effectively running a gun rights protection racket? Pay us, or we won’t oppose gun control. This preemptive appeasement by Cox and Lapierre has many potential pitfalls, none the least of which is empowering BATFE, which is never smart. These actions are not occurring in a vacuum. Fineswine’s bill was not drafter overnight, BATFE is working –with her– to increase their power and take from us. Legislation to outlaw bump stocks won’t stop there, it’s going to be used as a vehicle for the gun prohibitionists. Maybe Nancy Reagan’s “Just say No” campaign is the right answer here. Maybe there is a compromise to be made along the lines of the ideal, but this does not seem to be what NRA-ILA is seeking. I hope I’m wrong on that. There is no shortage of people willing to throw the slide fire under the bus and no shortage of our community -including Sebastian- willing to sacrifice machine guns for some mythical “greater good”. Machine guns were sacrificed without much of a fight 40 years before I was born. Then we lost imports in 68, 6 years before I was born. Then Hughes in 86, when I was in elementary school. It looks to me like we lost that fight long before I ever got involved. The SHARE act would give us back gun imports… if it ever passes. I’m only slightly older than Sebastian, so I agree that older generations gave up much before I was even out of grade school. However, the DC gun ban took effect in 1976 and Chicago gun ban took effect in 1982. When I was little, concealed carry and open carry was something only police or criminals did. As for Constitutional carry – what’s that? Heller and McDonald reversed the DC and Chicago bans. Now shall-issue carry or Constitutional carry is available in most states. Many unforeseeable changes for the good have happened in the last 20 years – I’m not ready to close the book on repealing Hughes and increasing availability of machine guns. I agree that the SHARE act and National Reciprocity are high priorities and are more likely and more practical. However after that, gun-rights advocates must continue pushing. 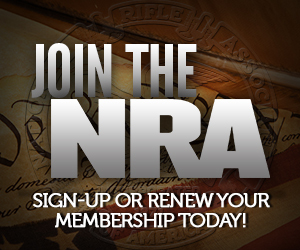 NO more bad compromises, anti-gunners won’t go on defense so neither should we. The goal should be expanding freedom for law-abiding citizens. Can anyone point to a citation for the original definition of a machine gun. I want to share it with some gun buddies but can’t find an original source. It took us nearly 90 years to get here, and we’ve been rolling back for, what, 20-30 of them? It’s going to take a while to get things done and undone. The same fundraising schemes that groups like SAF, CCRKBA, NAGR and some state groups are criticized for – NRA-ILA perfected those methods.